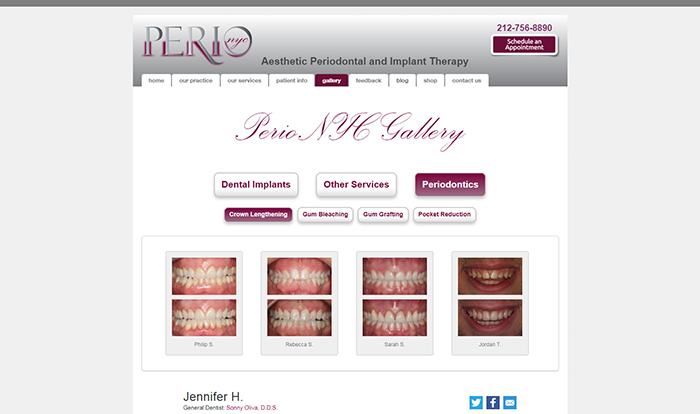 Perionyc, established in 1948, is one of the oldest New York City-based periodontal therapy and dental implants companies, offering individualized care for each patient with an unmatched range of services and outstanding outcomes. The site serves various therapeutic services with the advisement provided by the expert doctors. 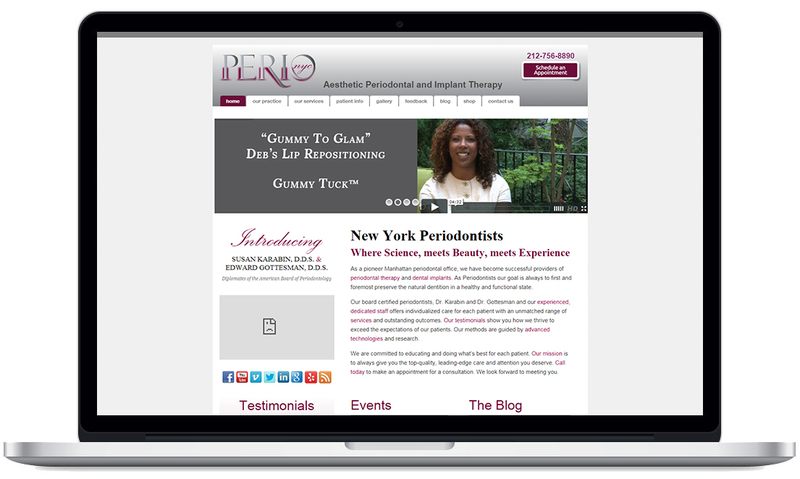 Mango IT Solutions designed and developed WordPress based website for Perionyc. 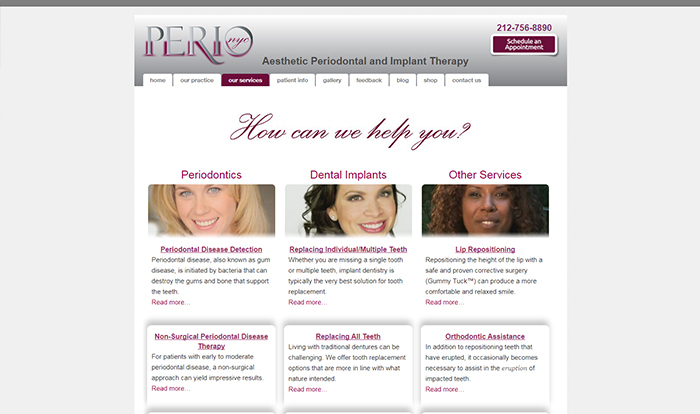 The client wants to have patient finds doctor and schedule appointment as must feature of their online portal. Other tasks include integrating social plugin for Social Login, Social Share, and Social Comments, event listing, and blog for latest events and news, image gallery to display surgical photos for clinical and educational purposes and referral reward points for users.